An e-book collection you can dive right into. Please check the box below to confirm you would like to be added to Kenilworth Media’s various e-mail communications(includes e-newsletters, a survey now and then, and offers to the pool industry*). operate backyard getaways more easily. strategize marketing for illuminated success. understand UV technology and ozone. 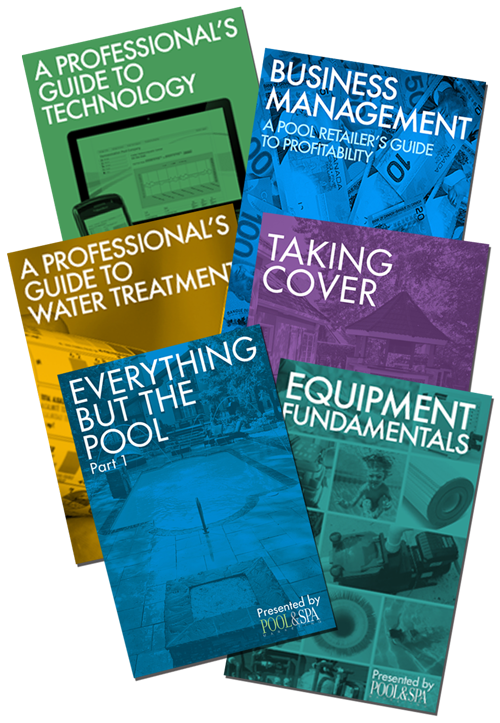 offer tips for measuring and installing challenging pool covers. design and construct unique watershapes. take a look at the evolution of pool heater technology.